Would you like to make a career out of your aptitude for problem solving? Do you enjoy working with computers and numbers? A bachelor’s degree in computer science from Michigan Tech will prepare you to contribute to work that will have a lasting impact on technological development. The discipline of computer science encompasses theory, experimentation, and engineering design. Computer scientists employ their skills to model and analyze problems, designing and verifying computing solutions. These professionals work toward mastering computer software and computational processes for a variety of applications and users—an endeavor that requires creativity, precision, and sound reasoning. This option is the most flexible and comprehensive, covering all facets of the discipline. Students gain a broad computer science background in preparation of a career in computing, science, or engineering. Consider this concentration if you plan to enroll in graduate school. Build the framework of skills necessary for designing, developing, and maintaining modern computing systems—not only today, but well into the future. 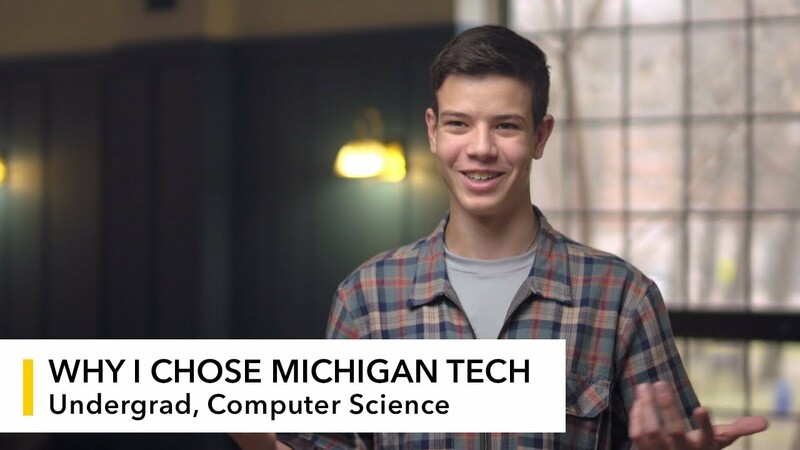 A concentration in computer systems from Michigan Tech will provide you with a strong basis in computing environments—from operating systems, to networking, to administration, to security—allowing you to be adaptable and embrace the change inherent in technology. This concentration allows you to create an area of application. Computer science has strong ties to other disciplines, as computers are useful problem-solving tools. Finding solutions requires both computer science expertise and knowledge of the particular application area—training you will receive at Michigan Tech. Application areas range from engineering to business to health care to the humanities—wherever your interests lie. Learn how to build compelling and engaging video games using modern techniques and technologies. Students gain hands-on game development and teamwork experience, learn 3D graphics programming, and practice the skills necessary to build the next generation of interactive games. A concentration in game development prepares a student for a career in the game industry and other closely related fields such as software engineering, virtual reality, computing, and visualization. Specialty areas within computer science include computer architecture, software systems, graphics, artificial intelligence, high-performance computing, software engineering, and human-computer interaction. Goal 2 Students will be able to construct solutions to computational problems in multiple programming paradigms. Goal 3 Students will be able to design computational algorithms in a way that demonstrates comprehension of the tradeoffs involved in design choices. Goal 4 Students will be able to construct a clear and efficient solution to a complex systems software problem.